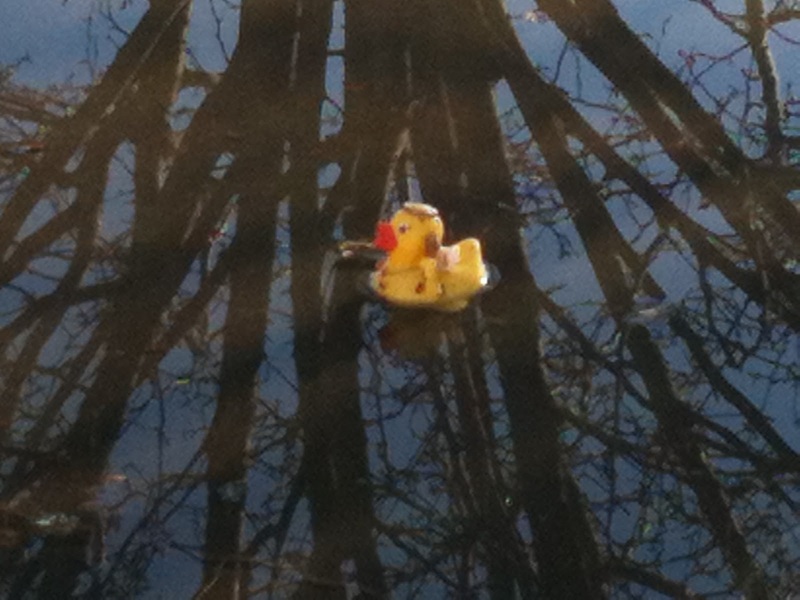 One of our ducks floats on Lake St. Alban in the reflection of a Bradford Pear tree. In the parking lot just outside Arlyne's office window, water often stand for a few days following a big rain. As you all know, we've had BIG rain lately. The church's treasurer, Jim B., provided a small flock, who all float in Lake St. Alban. Who knew he was so tricky?